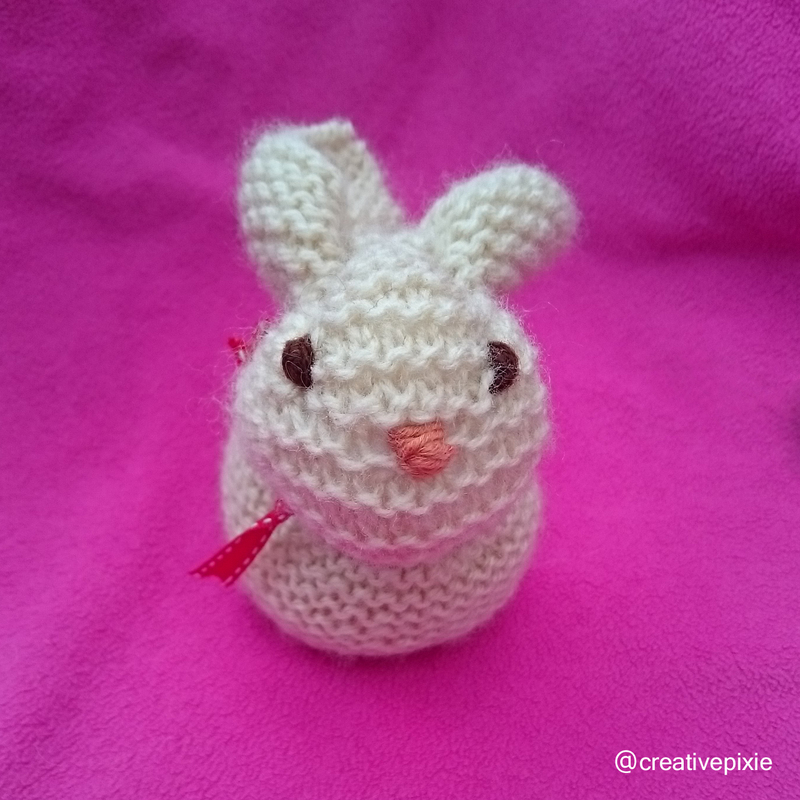 A couple of weeks ago I saw the cutest little knitted bunny on a friends Pinterest board. I thought it would make a sweet little gift for my daughters so last Sunday (Mothers Day here in the UK) I clicked on the link to the Jo So and Sew blog to show me the tutorial of how to make it. 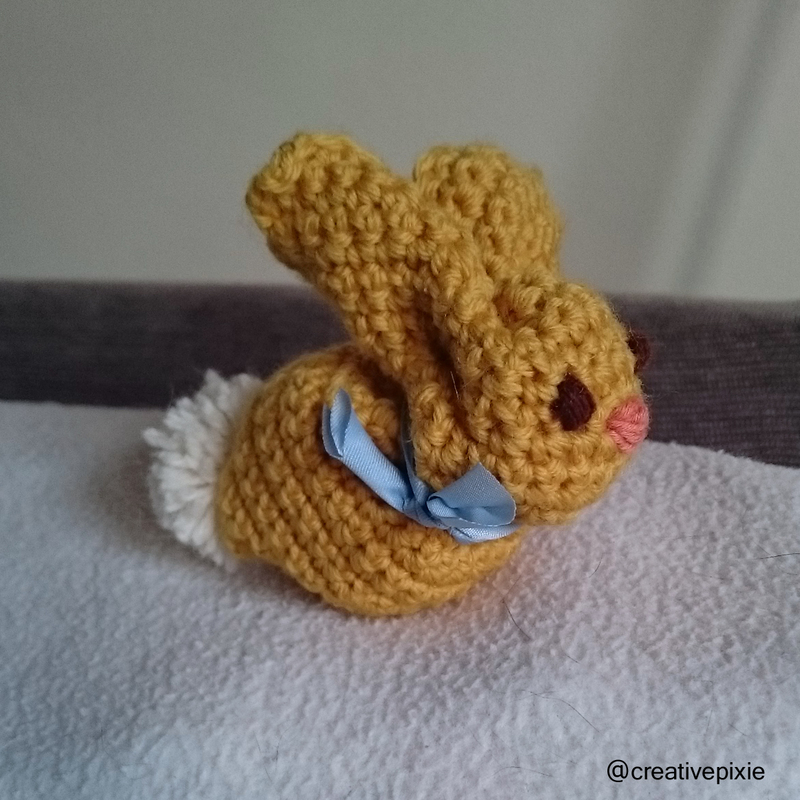 After several hours of knitting (interupted by chocolate cake, paintings and flowers) I finally completed my little bunny friend. Can you believe the body was made from a single knitted square! I made this slightly bigger than the tutorial stated, casting on 40 stitches on 4mm knitting needles. 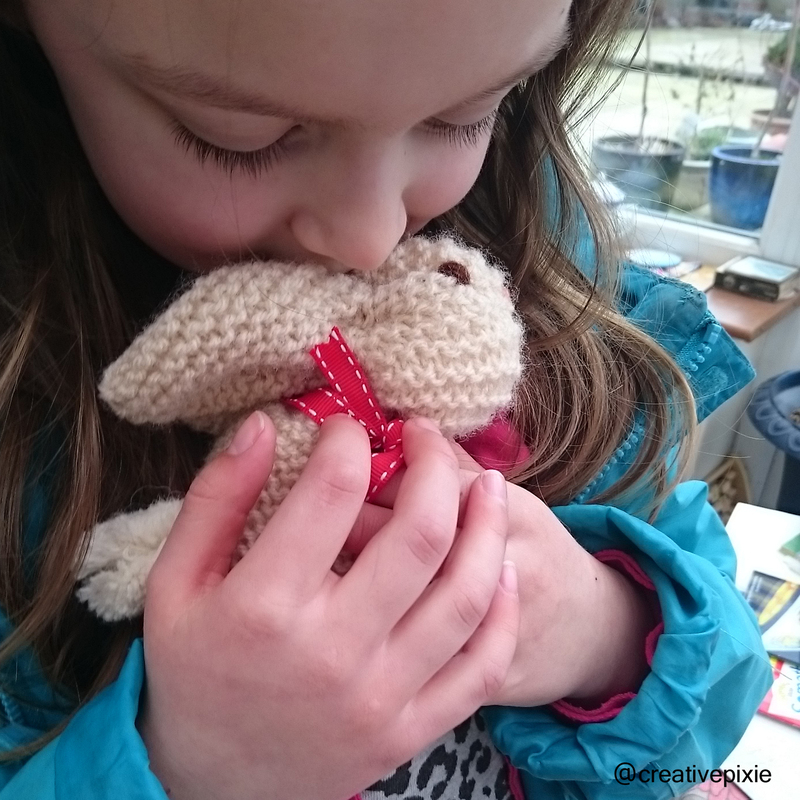 Miss P loves her little bunny and has named it Sky. 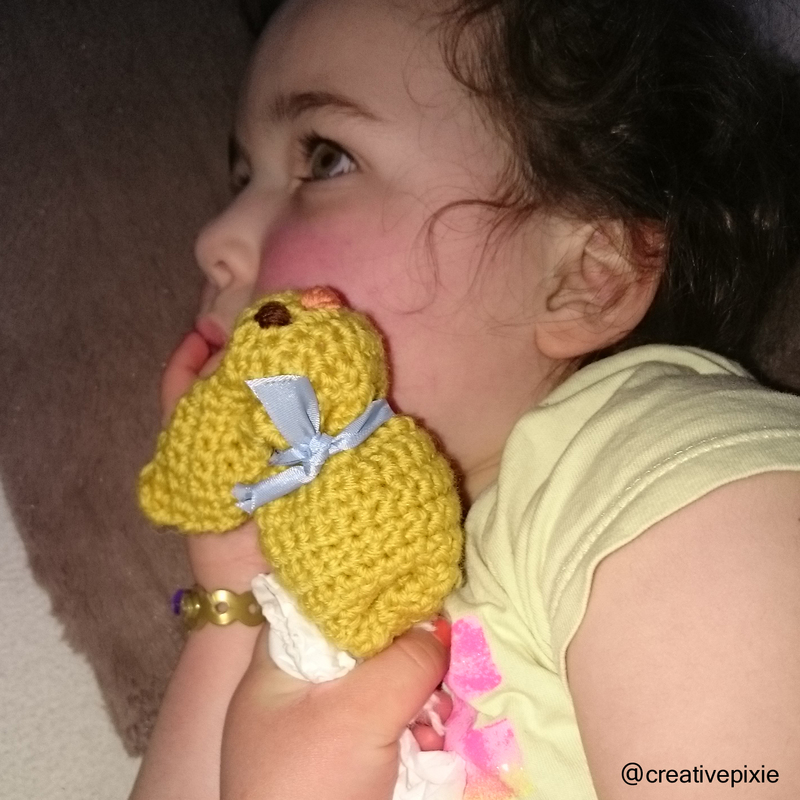 Miss E wanted her own little bunny so I decided to crochet her one to see if it was quicker to make. Using the same principle of having a yarn square, I did a chain of 29 stitches (1 of these being the turning chain) on a 4mm hook and kept crocheting until I had a square. Then I make it up following the same directions as on the tutorial. 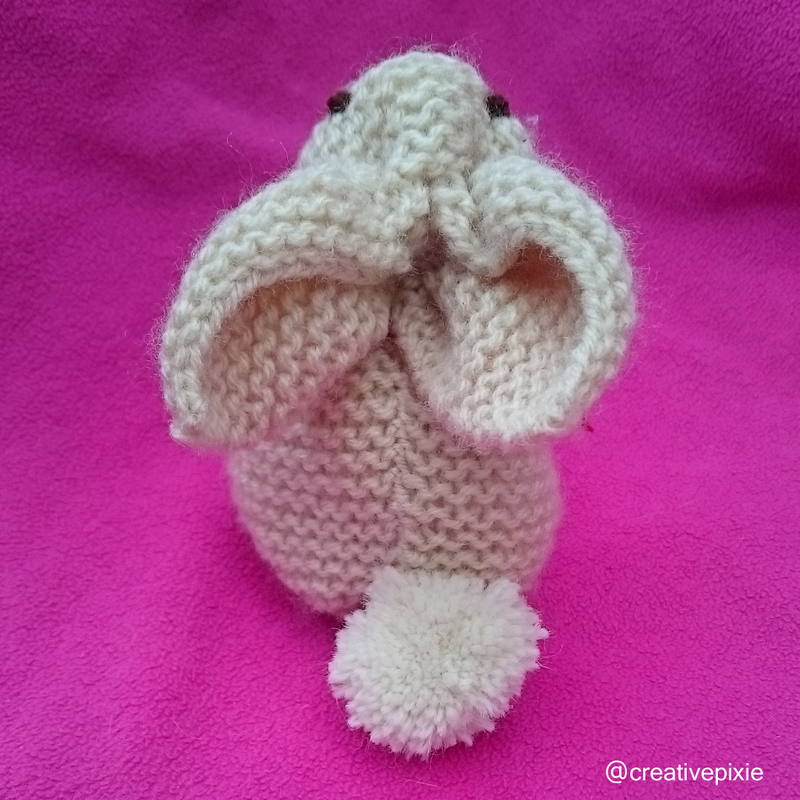 The finished bunny was smaller than the knitted one and quicker to make but I have to say that I prefer the shape of the knitted bunny. 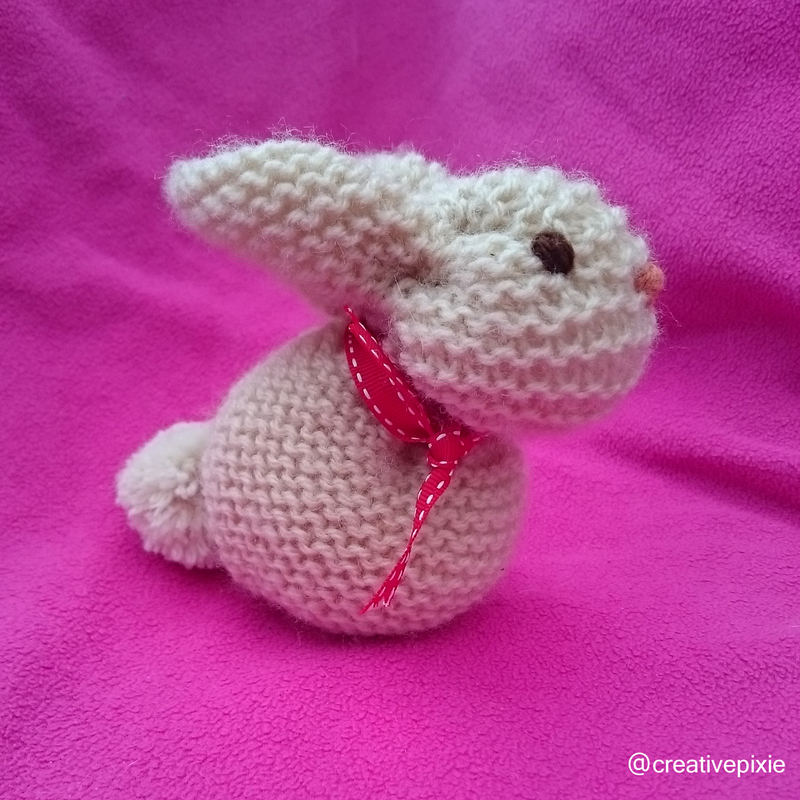 The rabbits will make cute Easter gifts and I hope I can get another couple made for my nephews and niece. Does anyone else have any Easter makes planned? Do you have a Pinterest account for me to follow? If so please share it in the comments as I’d love to see what inspiring pins you have. A link to my Pinterest account can be found here. Cute bunnies! I think I may have to (finally) make some! These are really sweet. 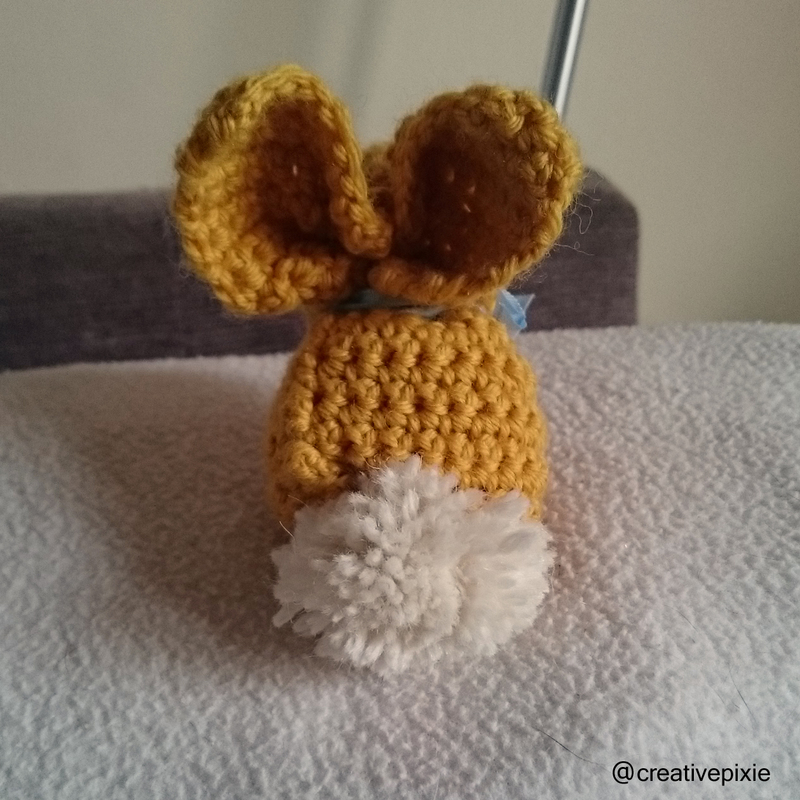 I don’t normally make Easter gifts, but I might have to make some of these…..
Easter eggs are so expensive and it’s always nice to give something handmade. Thanks for your comments. I’ve tried looking for you on Pinterest but it keeps telling me there is no crochetmagpie can you follow me then I’ll follow you back? I found you! Pinterest is cooperating with me today. Your rabbits are so cute. They ARE really cute, I’m in the process of knitting another one. Those are brilliant, well done (not surprised the little one wanted one after seeing the first. These are so cute! Wish I could make something like this they are just so adorable! You can make one if you can knit/crochet a simple square, it really is that easy. Well I can knit so maybe I should give it a go! Hi Jean, how cute. I really wanted to learn to knit this year, Mum even lent me some knitting needles and wool, but I just don’t have the time to learn. You’re right! 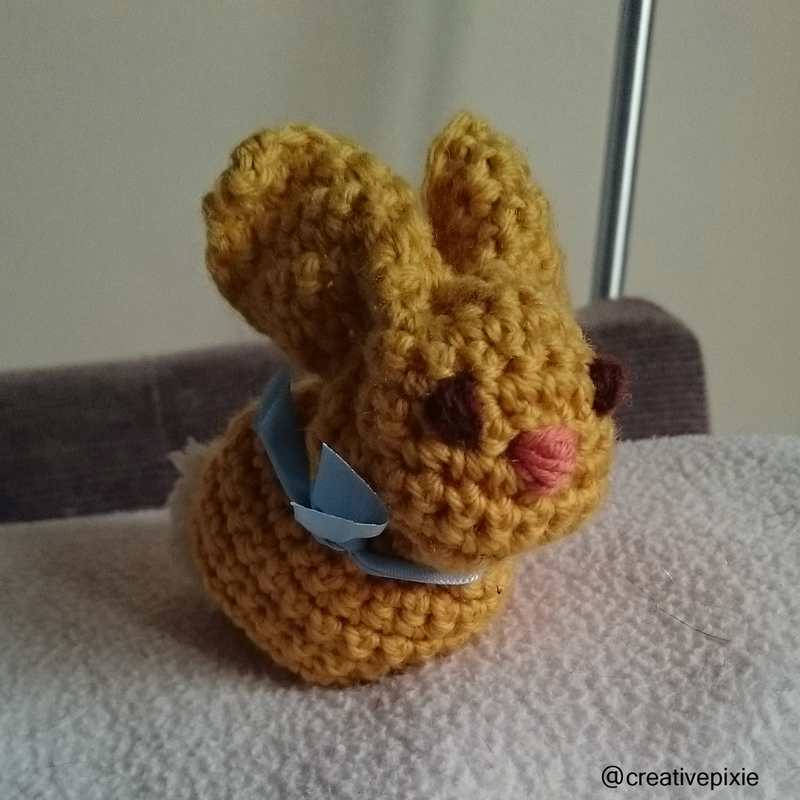 I couldn’t figure out what was different about the crocheted one but yes it’s more like a little mouse.